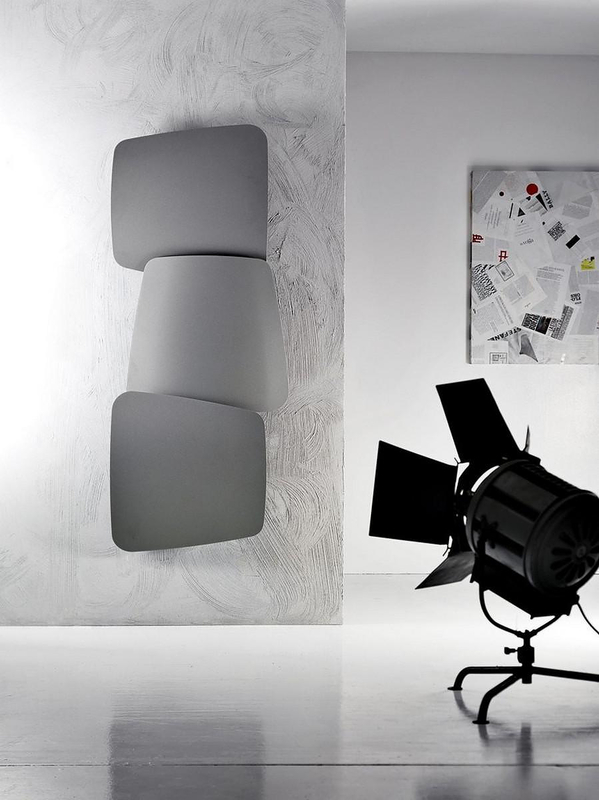 HomeBlogHome DecorThe Scudi Design Radiator by Antrax IT is Wall Art. 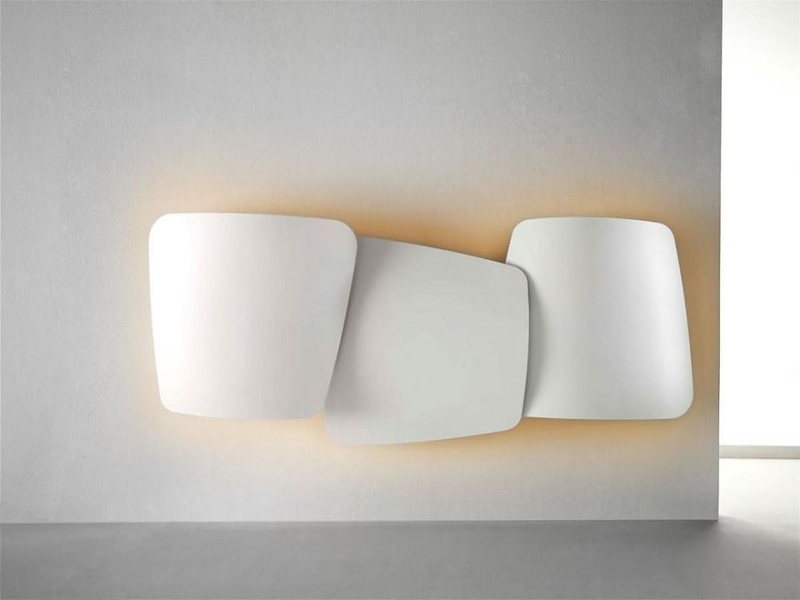 The Scudi Design Radiator by Antrax IT is Wall Art. 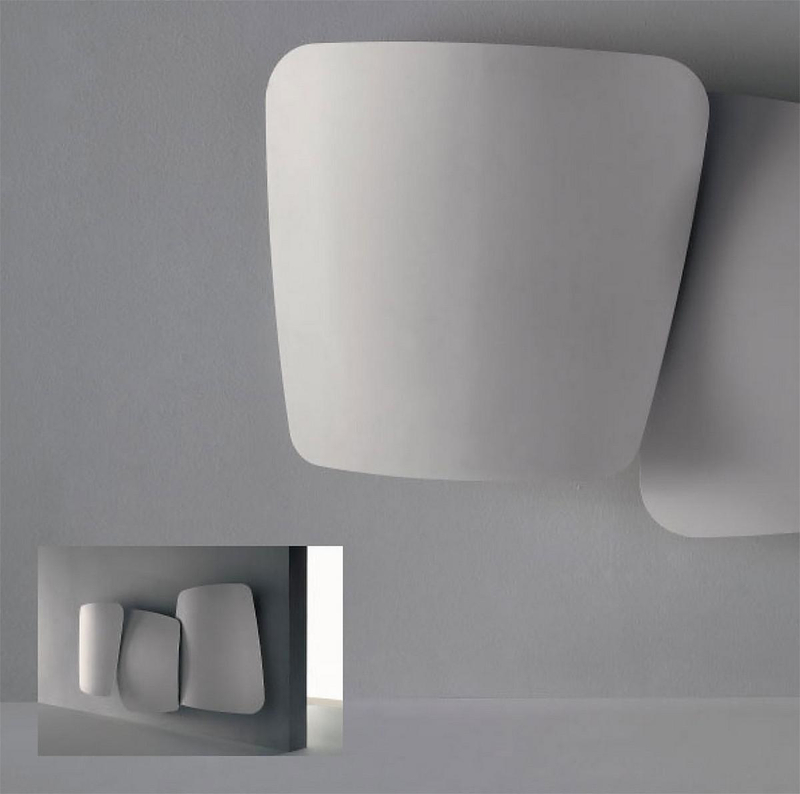 Scudi is an impressive design radiator by Massimo Iosa Ghini for Italian manufacturer Antrax IT. 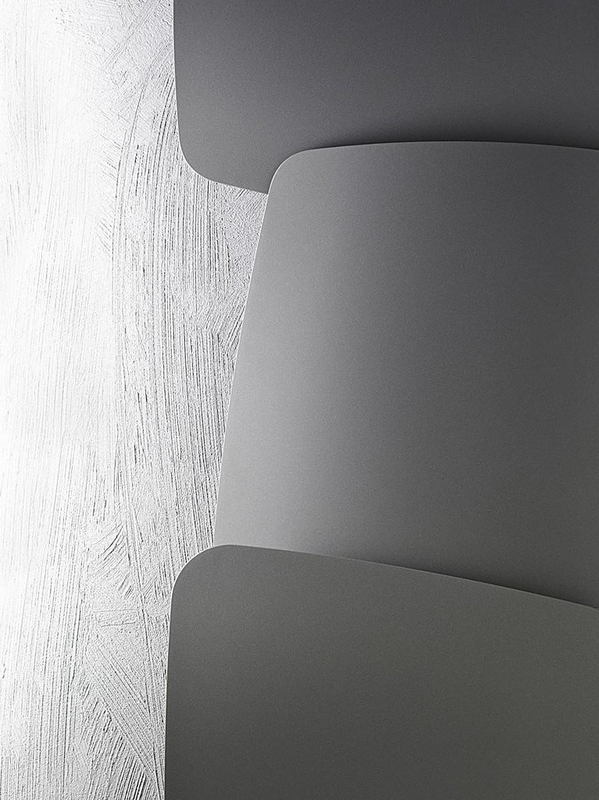 Scudi is not only an effective and innovative electric radiator but also a decorative element with unique modern design. This sophisticated electric radiator is composed of three steel plate elements with an original curved, trapezoid shape. These elegant plates can be rotated and interchanged, resembling overlapping shields combined into one unique composition. 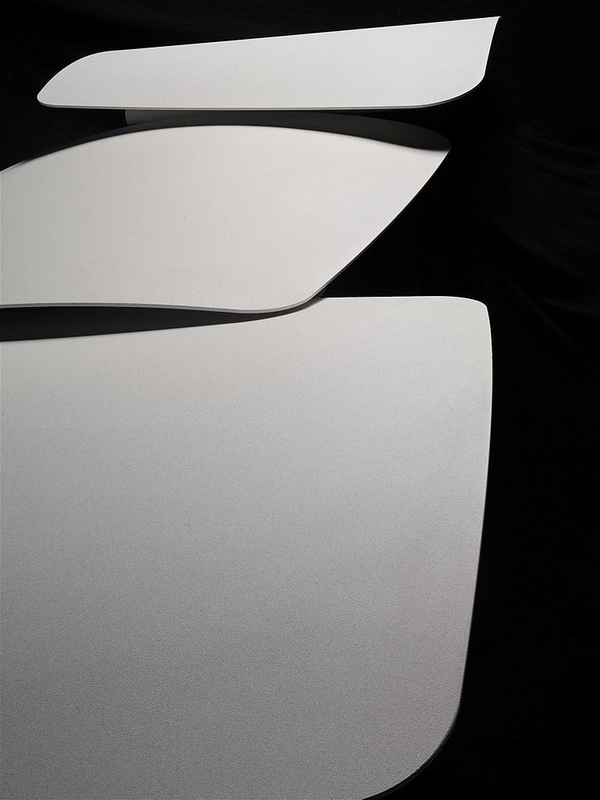 The shape reflects the movement of a shield, an elegant, truly original design with clear lines and minimal aesthetics. The installation of this stunning design radiator can be either vertical or horizontal, a feature that makes the radiator particularly versatile, a sense of stability and sobriety is maintained by the balance between shapes and proportions. 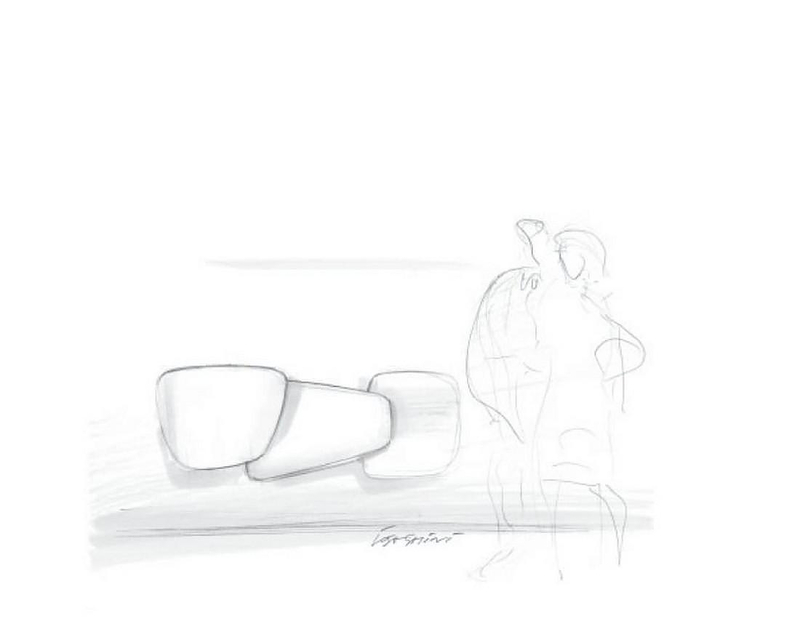 Essentially, it is like an art installation with a functional purpose. 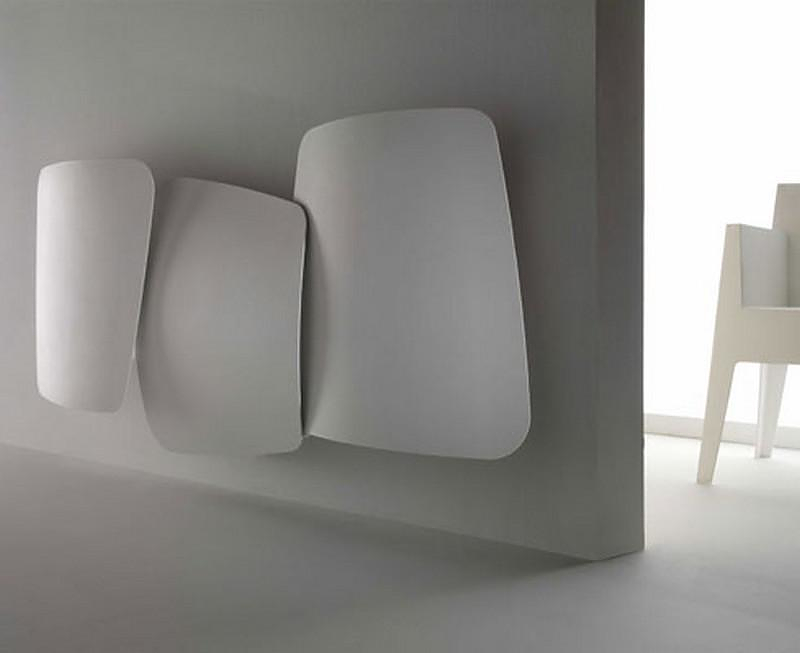 The Scudi radiator is a legible reference to primitive art and architecture as well as to Modern Minimalism. Scudi is definitely a statement in the decoration of any living space. A modern proposal for anyone who wish to enjoy a warm and beautiful environment. Indifferent and even ugly radiators can be disturbing style-wise and they usually destroy any attempt to create a cozy and pleasant interior for ourselves as well as for our guests. Scudi is a modern design radiator suitable for the living room, for spacy offices in business premises or even for the lobby area in a hotel. Antrax IT is an Italian company that produces design radiators, towel warmers, and fireplaces. Antrax IT — a recently founded company specialized in the production of radiators and fireplaces — has made quality its primary goal, from the very outset using cutting-edge production technology and internationally renowned designers. The Safretti Gaya bio-ethanol fireplace appears like a painting on the wall. Transparent Glass Radiator Thermoglance® by Asola Vetro. 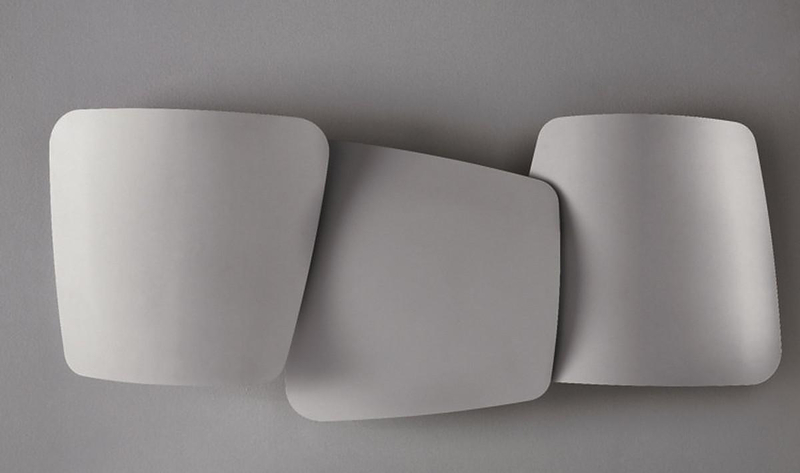 Peel wall light by YOY Design Studio. AM05 Hot + Cool Fan Heater by Dyson.